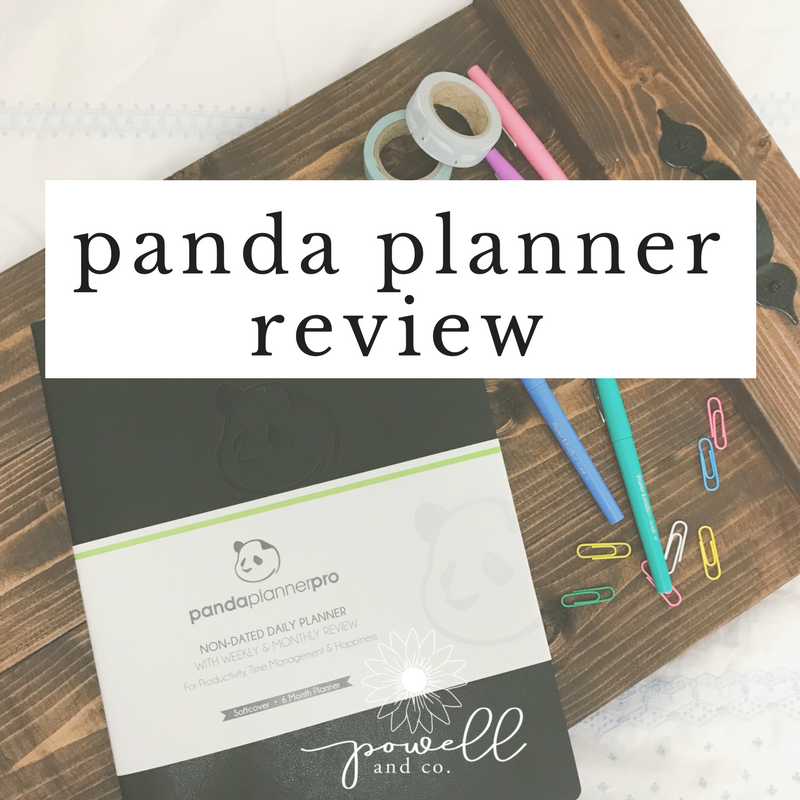 Panda Planner Review — Powell & Co. Anyone else completely overwhelmed by the seemingly endless planner options out there? I know I was when I was trying to decide on a new one recently! I love a good planner and it's an absolute necessity in my pursuit of productivity. Enter, the Panda Planner Pro. Today was my first day using it and I am already smitten. Here is my non-sponsored, unbiased review. This post does contain affiliate links. Let's start with a Pro & Con list. That's always a good first step. The panda motif isn't exactly my "aesthetic", I wish it was a bit more plain so I could customize it a bit more! It's honestly the least important thing to me, but I know it's important to some. Now, I want to show you what this planner is made of. I adore the layouts and the prompts on this planner. They help me prioritize and stay intentional. Everything about this planner is so detailed, but in the best way. It's not overwhelming. It's totally inspiring. I love the monthly layout so much. Historically, the monthly pages have been the most important for me, so I was DELIGHTED when I saw this one. It's so flexible and has ample room for all the categories of my life I want to keep up with. It's such a great layout for self-reflection and I am SO excited to track my progression with this layout each month. The weekly layout is another amazing space for self-reflection. The projects space has to be my favorite. There's plenty of room to add notes or your own bits of creativity. My inner planner nerd is DELIGHTED with the daily layout. There are so many little sections with great prompts. I look forward to using this each day to get clear on my goals and achieve. In conclusion, I am so thrilled with this planner. If you're a planning nerd, but (like me) too overwhelmed by the bullet journal life, I would definitely suggest the Panda Planner Pro. Fellow planning nerds, what planner are you using now? Let me know in the comments.